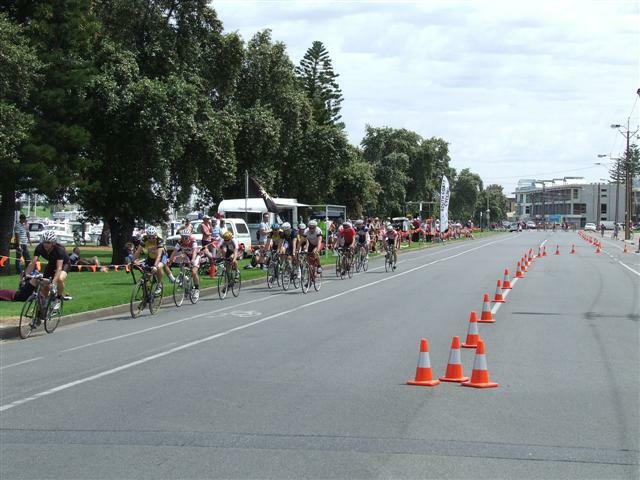 A criterium, or crit, is held on a short course, often run on closed-off city streets. 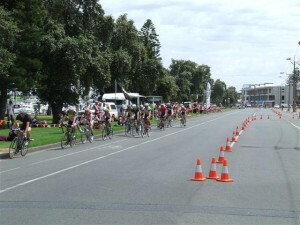 SCC holds our main Crit race at Glenelg. It’s run in grades as per the handicappers gradings. Most race are over a set time plus the finishing laps. Usually the higher the grade the longer the time. The winner is the first rider to cross the finish line without having been “lapped.” Events often have prizes (called primes, pronounced “preems”, and are usually cash) for winning specific intermediate laps. A bell or whistle is used to announce to the riders that whoever wins the next lap, wins the prime.